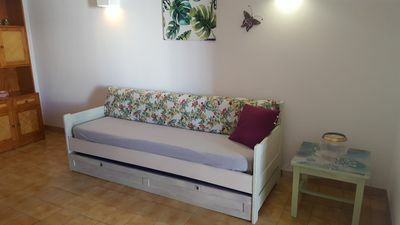 Equipment (from 15 MAR 2019): satellite TV (2 TV(s)); stereo; internet access Wi-Fi (included); washing machine; alarm system; safe; combined heating/air conditioning (in the living room and in the bedrooms); pellet/wood chip heating (only on the ground floor); storage room in the house. 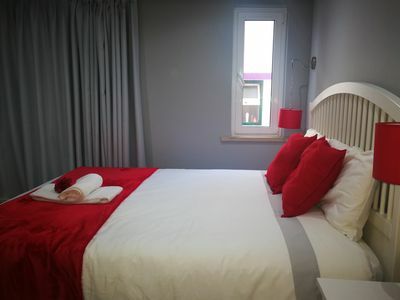 Equipment (to 15 MAR 2019): satellite TV (2 TV(s)); stereo; internet access Wi-Fi (included); washing machine; alarm system; safe; combined heating/air conditioning (in the living room and in the bedrooms); storage room in the house. 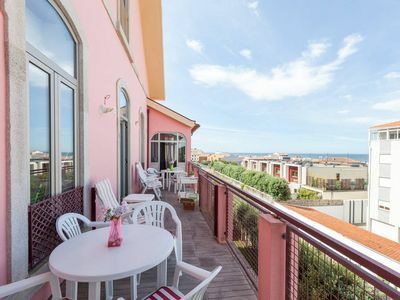 Furnishing (from 15 MAR 2019): holiday standard, friendly, tiled floor, laminate floor. 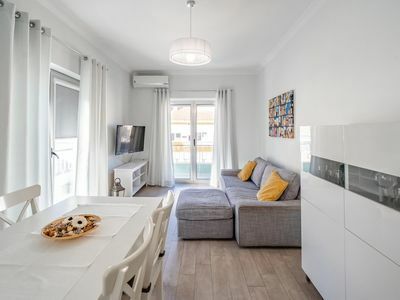 Furnishing (to 15 MAR 2019): holiday standard, tiled floor, wooden floor. Please note: No internal connecting door between ground floor and upper floor. Non-smoking house. 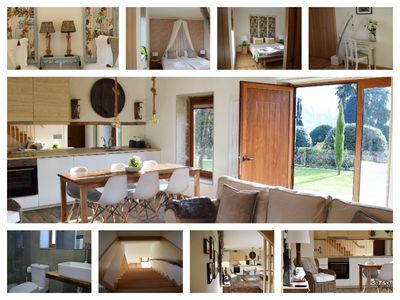 detached house, 4 - 8 people, 6 room/s, 4 bedroom/s, 2 bathroom/s, approx. 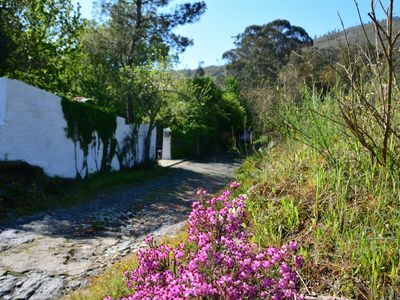 140 m², 2 floor/s, access to the property via external stairs. 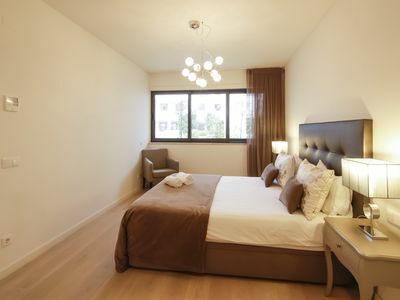 Bedroom 2: (ground floor): 1 x queen-size bed (1.60 m wide). Bedroom 3: (floor 1, roof pitch, limited height): 2 x single bed. Bedroom 4: (floor 1): 1 x queen-size bed (1.60 m wide). Important information: When booking at the price for an occupancy of 4 persons not available: the upper floor. Kitchen (from 15 MAR 2019): Kitchen/ cooking equipment: 4 gas rings, oven, microwave oven, dish-washer, refrigerator, small freezer, coffee machine, capsule coffee machine, water boiler, toaster. Kitchen (to 15 MAR 2019): Kitchen/ cooking equipment: 4 gas rings, oven, microwave oven, dish-washer, refrigerator, small freezer, coffee machine, toaster. Kitchen: open to the living room (ground floor), exit to terrace. Kitchen 2 (from 15 MAR 2019): Kitchen/ cooking equipment: 4 gas rings, oven, microwave oven, dish-washer, refrigerator, coffee machine, water boiler. Kitchen 2 (to 15 MAR 2019): Kitchen/ cooking equipment: 4 gas rings, oven, microwave oven, dish-washer, refrigerator. Kitchen 2: separate (floor 1), further dining area for 4 people. 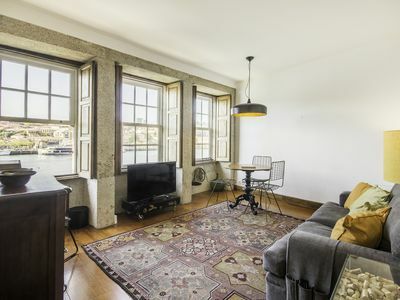 Living room (to 15 MAR 2019): (ground floor): furniture suite, fireplace (insert). 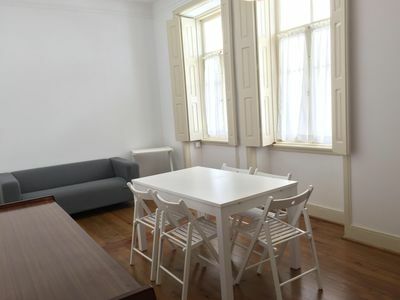 Living room (from 15 MAR 2019): (ground floor): furniture suite. Living room 2: (floor 1): furniture suite, exit to balcony. Estate: (private use): approx. 500 m², closed plot (fence, hedge), with plants, palm trees. 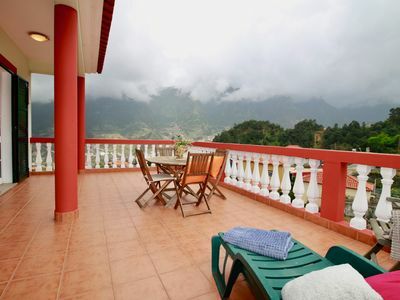 Outdoor facilities: (private use): terrace, further terrace, balcony, furnishing provided, lounge furniture (permanently mounted), brick barbecue, barbecue area. 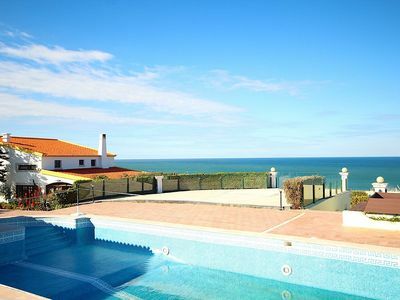 Pool (from 15 MAR 2019): (private use): 8.0 x 4.0 m, open throughout the entire season, salt water pool care. 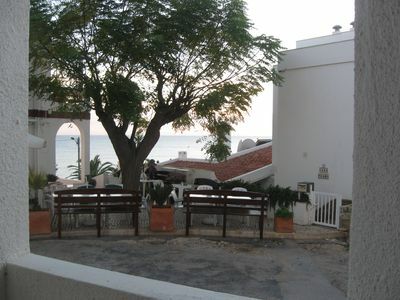 Pool area: tiled, 6 sun loungers, WC. 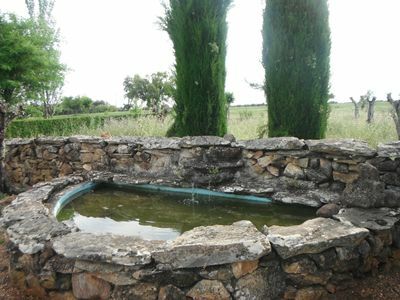 Pool (to 15 MAR 2019): (private use): 8.0 x 4.0 m, open throughout the entire season, salt water pool care. Pool area: tiled, 6 sun loungers. 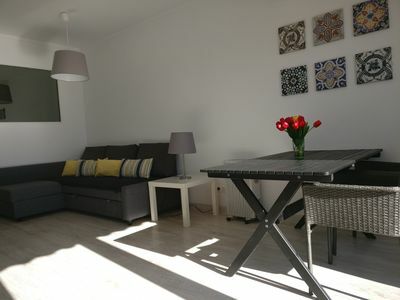 Arrival (from 15 MAR 2019): Train station Loulé in approx. 2 km. Beach/waters (from 15 MAR 2019): Sandy beach in approx. 6 km. Beach/waters (from 15 MAR 2019): Sea in approx. 6 km. Golf course (from 15 MAR 2019): Vila Sol (27-hole golf course) in approx. 3.5 km. Harbour/marina (from 15 MAR 2019): Harbour/marina in approx. 7 km (Quarteira & Vilamoura). 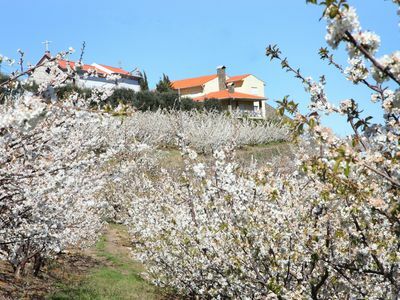 Next village/town (from 15 MAR 2019): Center Almancil in approx. 3.6 km. 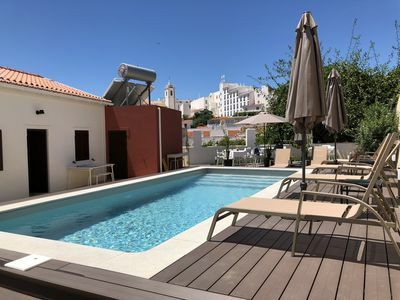 Next village/town (from 15 MAR 2019): Loulé in approx. 7 km. 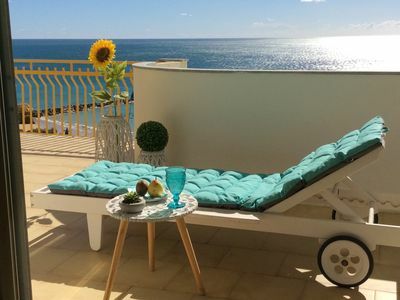 Next village/town (from 15 MAR 2019): Vilamoura in approx. 7 km. Public swimming pool (from 15 MAR 2019): Indoor public swimming pool in approx. 8 km (Loulé). Public swimming pool (from 15 MAR 2019): Public outdoor swimming pool in approx. 1 km (Aquapark). Shopping (from 15 MAR 2019): Next shopping possibility in approx. 500 m.
Shopping (from 15 MAR 2019): Next supermarket in approx. 3 km.